General-in-Chief of the Union Army and the field commander around Petersburg, began moving his men past the western end of Lee’s line. Union advance, and during the night of March 31, he pulled his men back to Five Forks. This set the stage for a major strike by Sheridan on April 1, when the Yankees crushed the Rebel flank and forced Lee to evacuate Richmond and Petersburg. The Rebel Confederacy had only a week left to live. 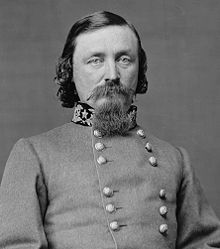 On this day in 1825, Confederate General Samuel Maxey is born in Tompkinsville, Kentucky. 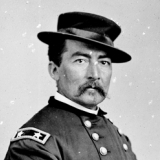 During the Civil War, Maxey served in the West and led Native Americans troops in Indian Territory. Maxey attended the U.S. Military Academy at West Point and graduated in 1846, second to last in a class of 59. He was sent immediately to fight in the Mexican War (1846-48). 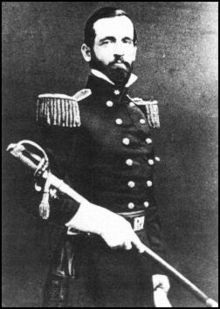 Although he did well there and fought at the Battle of Cerro Gordo, Maxey resigned his commission after the war to study law in Kentucky. In 1857, he moved to Texas and became active in politics. When the war began, he raised a regiment, the 9th Texas Infantry, and took his unit to fight in Mississippi. Maxey was promoted to brigadier general in March 1862 and his force participated in the Vicksburg campaign before aiding in the defense of Port Hudson, Louisiana. He avoided capture when those locations fell into Union hands, and was sent to assist in the Confederate siege of Chattanooga, Tennessee, in September 1863. While there, Maxey received a promotion to commander of Indian Territory. In 1864, he worked to recruit and train members of the Cherokee, Creek, and Choctaw tribes. On April 18, 1864, troops under Maxey’s command attacked a Union wagon train at Poison Spring, Arkansas. They routed the federal force, which was led by the 1st Kansas Colored Regiment. 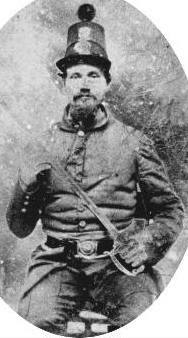 Maxey’s men proceeded to kill all black soldiers who were wounded or captured. 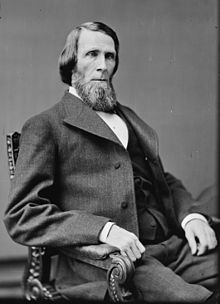 After the war, Maxey continued to support his Native American friends when he served in the U.S. Senate and was an outspoken advocate of Indian rights. He died in 1895.
begin a desperate race to escape to the west. 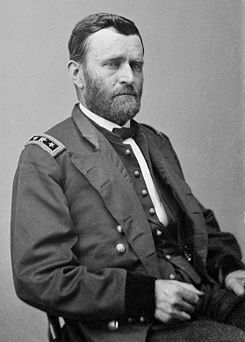 Eleven months earlier, Grant had moved his army across the Rapidan River in northern Virginia and began the bloodiest campaign of the war. For six weeks, Lee and Grant fought along an arc that swung east of the Confederate capital at Richmond. They engaged in some of the conflict’s bloodiest battles at Wilderness, Spotsylvania, and Cold Harbor before settling into trenches for a siege of Petersburg, 25 miles south of Richmond. The fighting in the Wilderness and at Cold Harbor had earned Grant the uneviable nickname of “Butcher” as a result of the heavy casualties. Years later, Grant said that fight was a mistake. The trenches eventually stretched all the way to Richmond, and during the ensuing months the armies glowered at each other across a no man’s land. From time to time, Grant would launch attacks against sections of the Rebel defenses, but Lee’s men always managed to fend them off. Time was running out for Lee, though, and he knew it. His army was dwindling in size to about 55,000, due to illness, soldiers not coming back from leave, and even mass desertions as the men could see the handwriting on the wall. On the other side of the trenches, Grant’s army continued to grow–the Army of the Potomac now had more than 125,000 men ready for service. On March 25, Lee attempted to split the Union lines when he attacked Fort Stedman, a stronghold along the Yankee trenches. His army was beaten back, and he lost nearly 5,000 men. On March 29, Grant seized the initiative, sending 12,000 men past the Confederates’ left flank and threatening to cut Lee’s escape route from Petersburg. Fight-ing broke out there, several miles southwest of the city. Lee’s men simply were not enought, in number or strength, to stop the Federal advance. On April 1, the Yankees struck at Five Forks, soundly defeat-ing the Rebels and leaving Lee no viable alternative. He pulled his forces from their trenches and raced west, followed by Grant. It was a race that even the great Lee could not win. Upon learning there were boxcars on a railroad siding that held the rations his men so desperately needed to go on, he fled to Danville. When he got there, the boxcars were there as well, but due to a mixup of instructions in the war Department, all they held was ammunition. Lee knew it was over, and there was no reason to sacrifice his men any further. 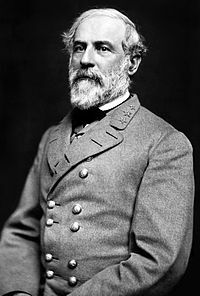 He surrendered his army on April 9, 1865, at Appomattox Court House. Well, I added a spam blocker to the site, and what do you know? No more comments from anyone. As my dad used to say, ‘Shows to go you…’ I guess not as many..read very few…of those glowing comments I used to see were really valid or from real people. Oh well. I am doing this because I like it, and because it is fun. I see by the stats that a lot of people seem to be looking at it, so I will just hope that someone real decides to leave me a note someday. Sort of like throwing a bottle into the ocean and getting a response years later. 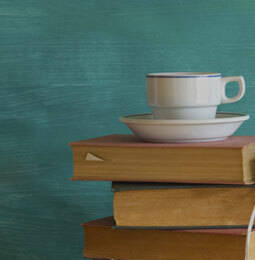 New things are coming soon, within the months of April. So keep checking in. On this day in 1862, Union forces stop the Confederate invasion of New Mexico Territory when they turn the Rebels back at Glorieta Pass. against the Federal stronghold at Fort Craig on the Rio Grande. Sibley’s force collided with Union troops at Valverde near Fort Craig on February 21, but the Yankees were unable to stop the invasion. Sibley left parts of his army to occupy Albuquerque and Santa Fe, and the rest of the troops headed east of Santa Fe along the Pecos River. Their next target was the Union garrison at Fort Union, an out-post on the other side of the Sangre de Cristo Mountains. At Pigeon’s Ranch near Glorieta Pass, they encountered a Yankee force of 1,300 Colorado volunteers under Colonel John Slough. The battle began in late morning, and the Federal force was thrown back before taking cover among the adobe buildings of Pigeon’s Ranch. A Confederate attack late in the afternoon pushed the Union troops further down the pass, but nightfall halted the advance. Union troops snatched victory from the jaws of defeat when Major John Chivington led an attack on the Confederate supply train, burning 90 wagons and killing 800 animals. With their supplies destroyed, the Confederates had to withdraw to Santa Fe. They lost 36 men killed, 70 wounded, and 25 captured. The Union army lost 38 killed, 64 wounded, and 20 men captured. After a week in Santa Fe, the Rebels withdrew down the Rio Grande. By June, the Yankees controlled New Mexico again, and the Confederates did not return for the rest of the war. Major John Chivingon, a hero at Glorieta Pass and a disgrace at Sand creek. surprise morning raid on a band of “tame” – or non-aggressive — Indians who were camped under a United States flag of peace, at Sand Creek, Colorado, in a massacre that to this day is one of the most infamous acts of war on a peaceful people. In a disastrous setback for the Texans resisting Santa Anna’s dictatorial regime, the Mexican army defeats and executes 417 Texas revolutionaries at Goliad today in 1836.
in 1835. Santa Anna immediately imposed martial law and attempted to disarm the Texans. Yet, this move merely fed the flames of Texan resistance. In November 1835, Texan leaders proclaimed their resistance to Santa Anna’s dictatorship, though they stopped short of calling for independence. The next month, the Texans managed to defeat 800 Mexican soldiers stationed in San Antonio. However, the rebel leaders remained deeply divided over what to do next, making them vulnerable to Santa Anna’s ruthless determination to suppress any further dissension. While the Texas rebels dallied, Santa Anna moved decisively. In mid-February he led a massive Mexican army across the Rio Grande, and after a 13-day siege of the Alamo, crushed the rebels in San Antonio. 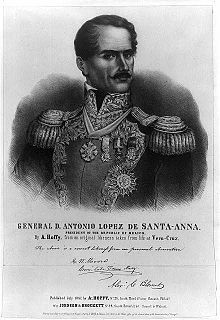 Meanwhile, to the south, Santa Ann’s chief lieutenant, General Urrea, moved to destroy another faction of the rebel army attempting to defend the town of Goliad. with only slightly more than 300 Texans to protect Goliad, a position the rebels needed in order to maintain their supply routes to the Gulf Coast. 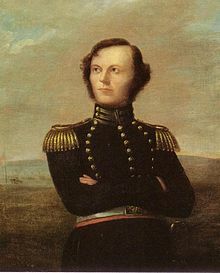 As Urrea’s much larger 1400-man army approached, Fannin acted with indecision, wondering if he should go to the aid of the besieged men at the Alamo. Belatedly, Fannin attempted to fall back from the approaching Mexican army, but his retreat order came too late. On March 19, Urrea surrounded the small column of rebel soldiers on an open prairie, where they were trapped without food, water, or cover. After repulsing one Mexican assault, Fannin realized there was no chance of escape. Rather than see his force annihilated, Fannin surrendered. Apparently, some among the Texans who surrendered believed they would be treated as prisoners of war. Santa Anna, however, had clearly stated several months before that he considered the rebels to be traitors who would be given no quarter. In obedience to Santa Anna’s orders, on this day in 1836 Urrea ordered his men to open fire on Fannin and his soldiers, along with about 100 other captured Texans. More than 400 men were executed that day at Goliad. the Battle of San Jacinto, and Texas won its independence. 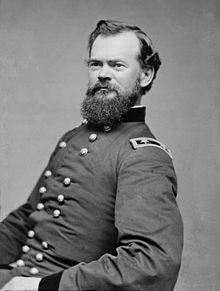 US General James B. McPherson, the highest ranking Union General killed in combat on July 22, 1864.
after William T. Sherman is promoted to the rank of commander of the Division of the Mississippi, and becomes the overall leader in the West. commander of the Department of the Missouri and a former acquaintance in California, who summon-ed him to St. Louis. In Missouri, McPherson helped set up recruiting stations and inspected defenses. was launching an expedition against forts Henry and Donelson in Tennessee. McPherson’s work in analyzing the defenses of Fort Donelson earned him the respect of Grant, and McPherson’s star rose rapidly after the Battle of Shiloh in Tennessee in April 1862. McPherson fought with distinction, and was promoted to colonel. Two weeks later, he became a brigadier general. After his actions at the Battle of Corinth, Mississippi, in October 1862, McPherson was again promoted, this time to major general. In December, he capped a successful year by taking command of the XVII Corps in Grant’s Army of the Tennessee. McPherson served as a corps commander throughout 1863, quite ably leading his men at Vicksburg, Mississippi, and Chattanooga, Tennessee. Grant’s promotion to general-in-chief of all Union forces created a chain reaction of promotions. Grant left for Washington, D.C., and Sherman assumed com-mand in the West, while McPherson inherited the Army of the Tennessee. This force was not an independent command, as it was one of three armies under Sherman’s leadership during the Atlanta campaign of 1864. When the campaign reached Atlanta in July 1864 after three hard months of fighting, McPherson was charged with attacking Confederate forces on the northeast side of the city. At the Battle of Peachtree Creek on July 22, McPherson was directing operations when he and his staff emerged from a grove of trees directly in front of the Confederate line. They were ordered to surrender but McPherson turned his horse and attempted to escape. 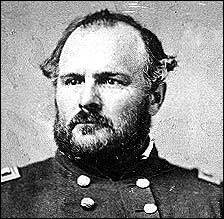 He was mortally wounded, becoming the highest-ranking Union general killed in the war. On this date in 1856, Mr. A. E. Burnside obtains a patent for his new and improved military carbine. What makes this rifle revolutionary is that it is a breech-loading model. The user opened the breech block for loading a cartridge simply by first pressing the weapon’s two trigger guards and then insert-ing a special brass cartridge, also invented by Burnside, to go into his new carbine. Whenever the user squeezed the trigger, the hammer fell on a percussion cap (self contained metal cartridges would not be invented for several years) and caused a spark; a hole in the base of the cartridge exposed the black powder to this spark. The unique, cone-shaped cartridge sealed the joint between the barrel and the breech. Most other breech-loading weapons of the day tended to leak hot gas when fired, but Burnside’s design had effectively eliminated this problem. In 1857, the Burnside carbine won a competition at West Point against 17 other carbine designs that were vying for a contract to supply arms for the military. In spite of its proven superiority, few of the carbines were immediately ordered by the government. But then something happened that changed the fortunes of the company, and of the rifle’s creator. What happened? The Civil War happened. When the war opened, there was a sudden need for a great increase in the standing army, as many of the men left the Union Army to join the rebel army. But what were these new soldiers to shoot? The War Department decided to order 55,000 rifles for use by Union cavalrymen. This made it the third most popular carbine of the Civil War; with only the Sharps carbine and the Spencer carbine being more widely used in all theaters of the war. There were so many in service that many were captured and used by Confederates. A common complaint made by most of the men who used the Burnside carbine was that the unusually shaped cartridge sometimes became stuck in the breech after firing. A review of both the ordnance returns (arms returned to the Army after the war or at other times) and the schedule of ammunition requisitions indicates that approximately 43 Union cavalry – as well as at least seven Confederate cavalry — regiments were using the Burnside carbine during the 1863-1864 period. The end of the war saw the end of production of the Burnside rifle, when the Burnside Rifle Company was given a contract to make Spencer carbines instead. And what of the inventor? What happened to his career? Despite his being in the Army prior to the war, he had resigned to focus his energy on his new company, A. E. Burnside gained his promotions because of his carbine. 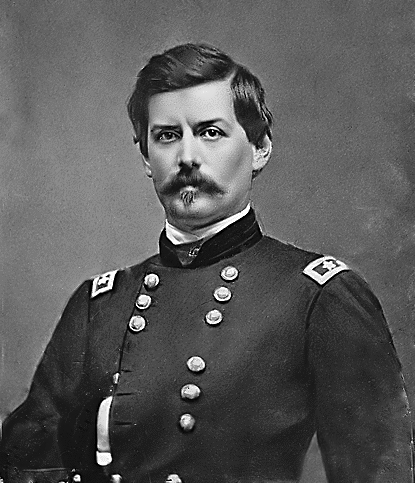 A. E. Burnside, Ambrose E. Burnside, to give his name in full, was actually a military failure due to his lack of confidence in his skills. 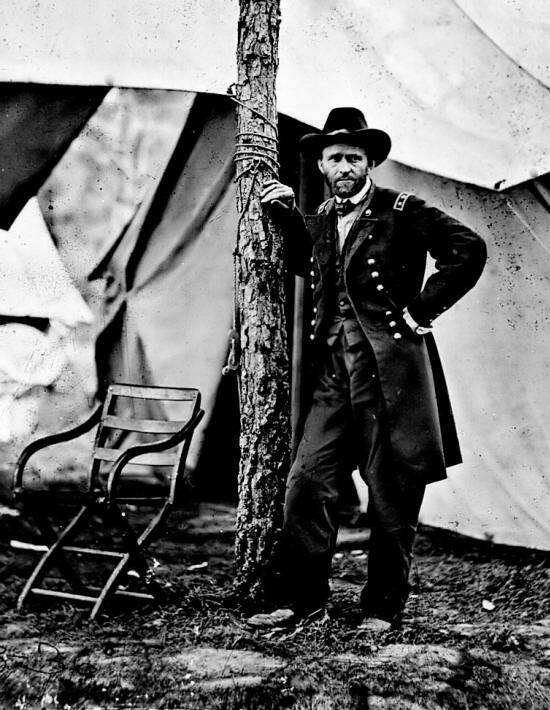 He had repeatedly turned down command of the Army of the Potomac when President Lincoln pushed the job on him, telling the President “I was not competent to command such a large army as this. 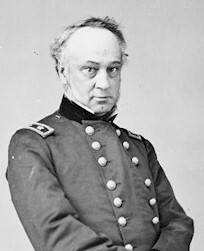 Eventually, however, Burnside gave up refusing and accepted the command. He immediately led the Army of the Potomac to defeat at the Battle of Fredericksburg. The battle and the subsequent abortive offensive left many of Burnside’s officers en-raged and they eloquently and loudly expressed their rage to both the White House and the War Department about Burnside’s incompetence.” He also performed poorly at the Battle of Spotsylvania Court House, and a subsequent court of inquiry also found him responsible for the Union failure at the Battle of the Crater. 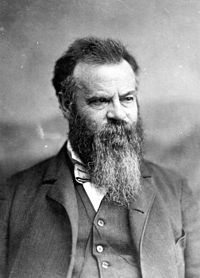 The great western explorer and conservationist John Wesley Powell is born today, in 1834, near Palmyra, New York. The son of a Methodist minister, Powell imbibed his father’s theology as a boy. However, he was introduced to an alter-native point of view when the elderly naturalist George Crookham taught him basic natural science. For much of his youth, though, Powell had little time to contemplate either God or nature. As the eldest son, he took on much of the backbreaking work necessary to support his seven brothers and sisters on newly cleared farms, first in Wisconsin and then Illinois. When he was 16, Powell struck out on his own. In 1852, he began teaching elementary school, which gave him time to improve his own education. During the next seven years, Powell took courses in natural science at Illinois, Wheaton, and Oberlin Colleges. He became a local expert on mollusks, attracting the approval of the Illinois Natural History Society. By the time the Civil War broke out, Illinois natural scientists knew him well. An ardent abolitionist, Powell enlisted in the Union Army shortly after the attack on Fort Sumter. With characteristic discipline and determination, he rose quickly in the ranks and eventually became a major in command of a battery of artillery. During the Battle of Shiloh, Powell was badly wounded and lost his right arm below the elbow. After a few months recuperating, Powell returned to the Union Army and served out the rest of the war with distinction. Returning to civilian life, Powell became a science teacher at several Illinois colleges. However, the quiet academic life did not suit him, and he began making a series of western expeditions to explore the geology of the Rocky Mountains. In 1869, Powell led 10 men in four small boats down the Green and Colorado Rivers, becoming the first Anglo to explore the cavernous depths of the Grand Canyon. Regarded as only a serious amateur by some professional scientists, Powell was determined to demonstrate his ability. In 1871, he won a government grant to map the Colorado Plateau. His subsequent geological descriptions of that region introduced an entire new branch of geology called geomorphology. By 1876, Powell’s theories of the role of stream flows in wearing down mountains and creating river valleys had established him as a nationally recognized geologist. Powell’s growing scientific prestige, as well as his uncanny ability to cultivate relationships with important politicians, made him a natural choice as the second director of the United States Geological Survey (USGS) in 1881. (The first director, Clarence King, had served less than two years). Under Powell’s guidance, the USGS became one of the most important federal scientific bureaus of the day. Powell’s insistence on putting truth before politics eventually earned him powerful enemies. Some western politicians, eager to exploit the natural resources of the West, objected to Powell’s insistence on understanding the natural science of the region before developing it. His enemies finally succeeded in pushing Powell out of the USGS in 1894. He continued his scientific work within the Bureau of American Ethnology, another important scientific agency Powell had nurtured. When he died in 1902, he was widely honored as a man of tremendous and varied talents. A soldier, teacher, explorer, geologist, and anthropologist, Powell played a pivotal role in the settlement and development of the American West. 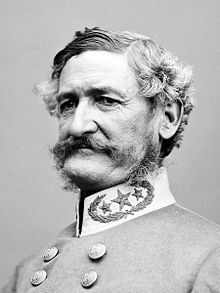 Today in 1862, at the First Battle of Kernstown, Virginia, Confederate General Thomas J. 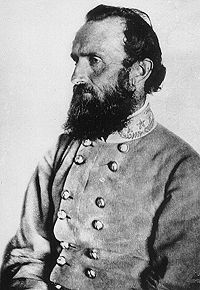 “Stonewall” Jackson suffers a rare defeat when his attack on Union forces in the Shenandoah Valley fails. CSA Col., and Stonewall Jackson’s favorite cavalry commander. withdrew his Confederate brigade due to a shortage of ammunition, and this exposed another brigade to a Union attack. The Northern troops poured in, sending Jackson’s entire force in retreat. Jackson’s troop losses included some 80 killed, 375 wounded, and 260 missing or captured, while the Union lost 118 dead, 450 wounded, and 22 missing. Despite the defeat, the battle had positive results for the Confederates. Unnerved by the attack, President Abraham Lincoln ordered McClellan to leave an entire corps to defend Washington, thus drawing troops from McClellan’s Peninsular Campaign. The battle was the opening of Jackson’s famous campaign in the Shenandoah Valley. Over the following three months, Jackson’s men marched hundreds of miles, won several major battles, and kept three separate Union forces occupied in the Shenandoah.